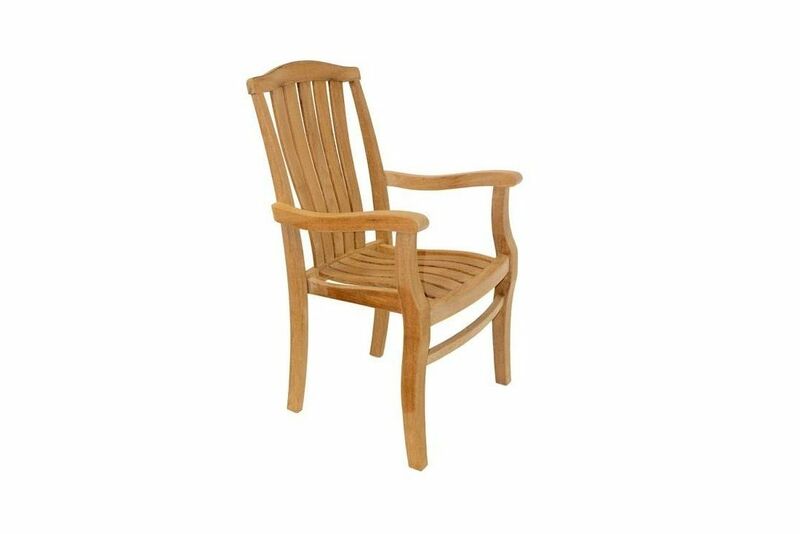 Add to that the inwardly curved seat and back and you’ve got a chair that’s comfortable without the cushion and is suited to large or small dining furniture sets. The individual pieces are held together with Mortice and Tenon joints further strengthened by teak dowels. This means the integrity of the timber is preserved and there are no protruding bolts or raised edges to reduce the comfort value and give a ‘wobble’ over time. The high oil content and dense, tight-knit grain make it naturally resistant to the elements all year round whilst offering that lovely golden, honey-coloured hue. Maintenance of the timber means little or no effort. In fact, it only needs cleaning for cosmetic purposes to renew the silver-grey aged colour back to the golden lustre.